I didn't get a chance to add my door to my new wall this weekend. It was one of those projects that wasn't as simple as it sounded. I ran out of room to work so I started moving things around. 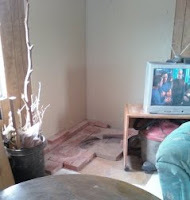 The corner where the fireplace used to be still had all of the bricks around it so I carted them outside while the dogs ran around. I took 2 bricks out and counted 3 dogs to make sure none had escaped, then went back for 2 more bricks, and on and on. Then vacuumed all the dirt and rearranged my stuff so I had an open area. Only one more weekend to work on my wall before I go off to visit family for Christmas. I was finally able to get a hold of the rescue dog lady and she said that I can take my dogs to a kennel across town for a reduced rate. That's a relief because the price at the kennel near me is $16 per day. I was hoping for $10. If I ever get a real house with a yard I think baby sitting animals would be a good part time job. Maybe if I'm a snowbird I can pet sit half of the year and spend the other half travelling. But that's a long way off. I certainly don't have any extra room for animals right now. Getting something done is better than getting nothing done. What happened to the fire place? I got even more done tonight. At least I feel a little more organized. The fireplace was given to the guy who removed it along with the old swamp cooler. Both were the cause of the leaky roof. It was fun to burn things in it but it was a fire hazard and didn't warm the place much. 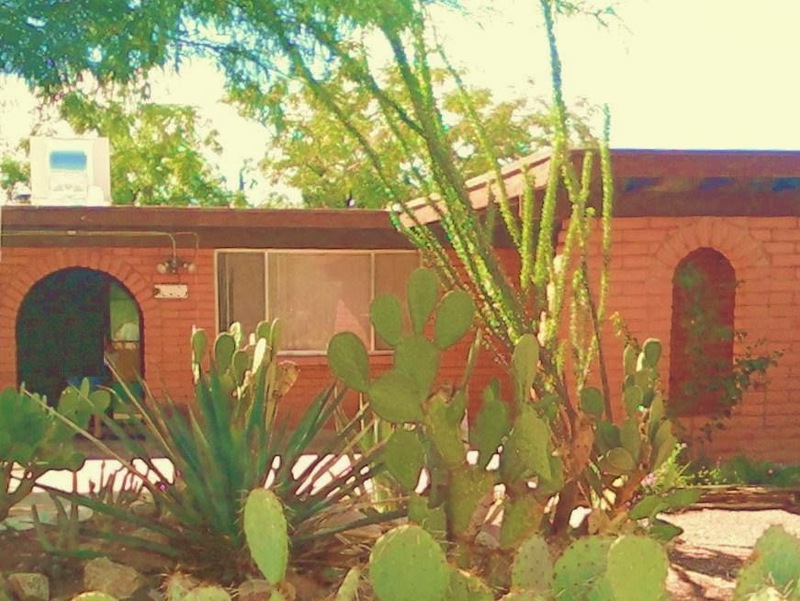 I used to pet-sit/house-sit pretty often and it was so much fun. I'd love to get into that again. I can definitely see you as a pet sitter. Sounds like really good idea for 'Daizy Acres'. The cat wouldbe even more grumpy but sh would forgive you as long as they dont all get to come in doors. This Thrifted Life, thanks for stopping by to comment. Lizzie, I'd have to build the cat her own condo so she could still be queen.